Late check out (after 10:30 AM and before 5:00 PM) may result in a fee. *Guest can cancel free of charge until 30 days before arrival. For high season, cancellation free of charge until 60 days before arrival. *Cancellation between 30 days and 15 days before arrival 20% payment of the booking will be charged, between 14 days and 7 days before arrival 50%. For High season 60-30 days before arrival 50%, 30-15 days before arrival 80%. 15-1 day before arrival 100%. 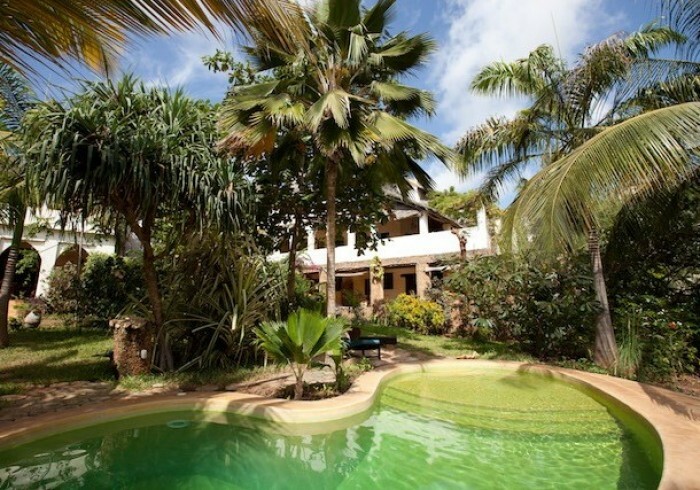 Banana House is a boutique hotel in Shela, Lamu Island. It has all the charms of a quietly elegant private home with 14 rooms spread over three houses situated in a magnificent tropical garden with swimming pool. Offering daily yoga, organic food, massages and a peaceful surrounding, just a few minutes’ stroll to the pure white sands of Shela Beach. Banana House is involved in many social activities and the main organiser of the Lamu Yoga Festival. Step through the door and you will immediately feel the love that Monika and Banana have put into the House to give it a warm and homely atmosphere. So…welcome to Banana House. Welcome home!